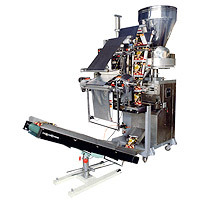 Packaging Machinery (JS-18) - Chung Shan Machinery Works Co., Ltd.
Packaging Machinery developed by Chung Shan offers a wide variety of packing purposes including tablet or granule packaging for clinics as well as packaging powder, chips, and other food products for factories. 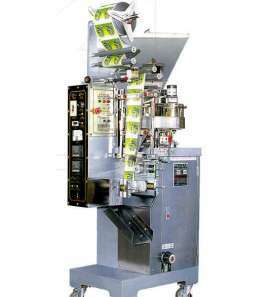 Various packaging machines developed by Chung Shan features different functions including shrink packaging, vacuum packaging, boxing packaging, carton packaging, and food packaging. 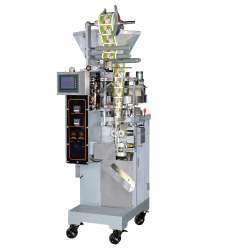 Chung Shan has been a professional manufacture of packaging machines since 1977 has eversince been dedicated to help its clients in building the perfect packaging machine. 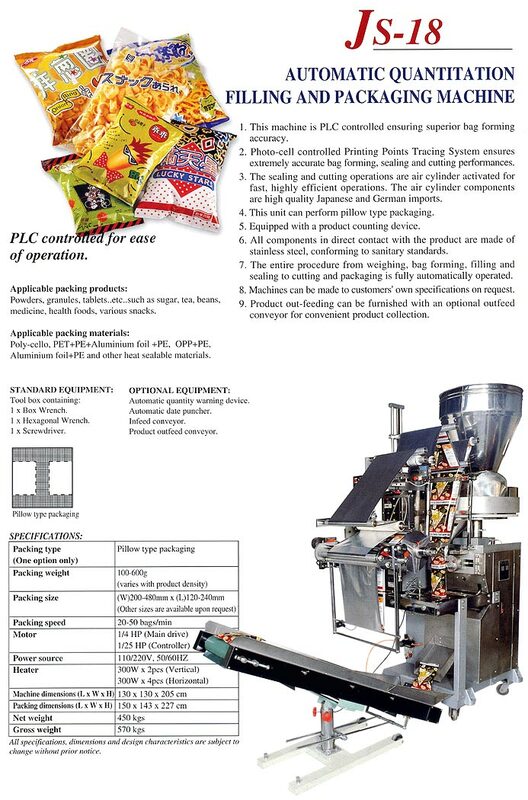 Please feel free to contact us for specifications and quotes on our packaging machienry.